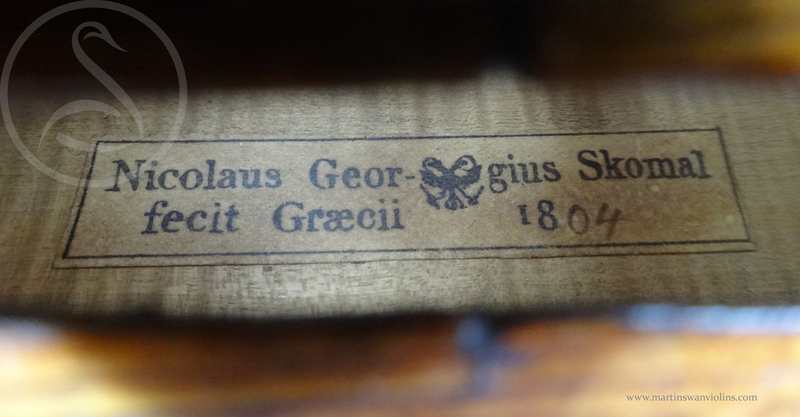 Nicolaus Skomal was a Prague maker who lived and worked in Graz, Austria, producing violin family instruments as well as guitars and lutes. 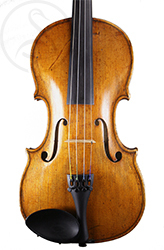 This violin is beautifully made exhibiting great skill, and the sound is first class. 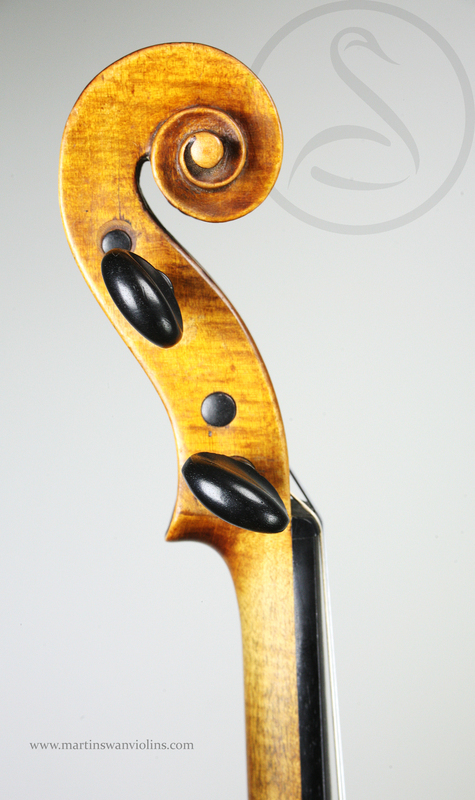 From the mid-1700s onwards, the Prague/Vienna makers produced exquisite violins which are consistently ignored and undervalued. 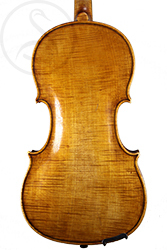 This is a typical example, beautifully made, very artistic, and with a great sound to rival a Gragnani. The table wood is unusually fine, the scroll is very precise, the f-holes slightly daring, and the varnish is quite special, an opulent gold over a yellow ground. The condition is fair – there are a number of well repaired cracks to the table but the ribs, back and scroll are unblemished. 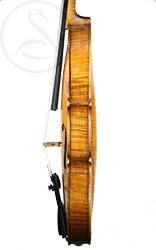 The neck is original and ungrafted. Skomal was appointed luthier to the Austrian court, and this violin would be completely at home dishing out Haydn and Mozart in the salons of Salzburg or Vienna. It’s a very responsive instrument with a lively and airy voice – something of a period sound, and ideal for classical repertoire. 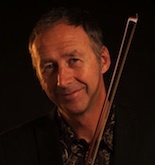 Lots of high harmonics, a good bite to the start of the note, very quick off the starting blocks … the overall character is brilliant and silvery, but with good volume and plenty of wood in the lower register. 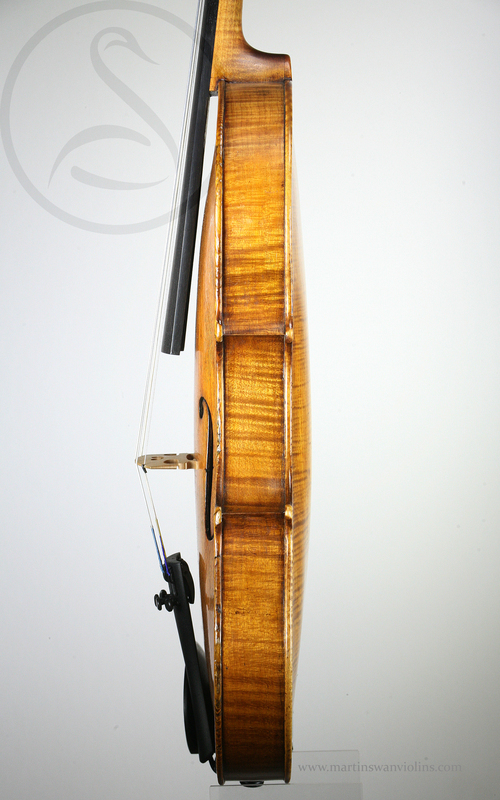 A refined and well balanced violin with a playful tendency! 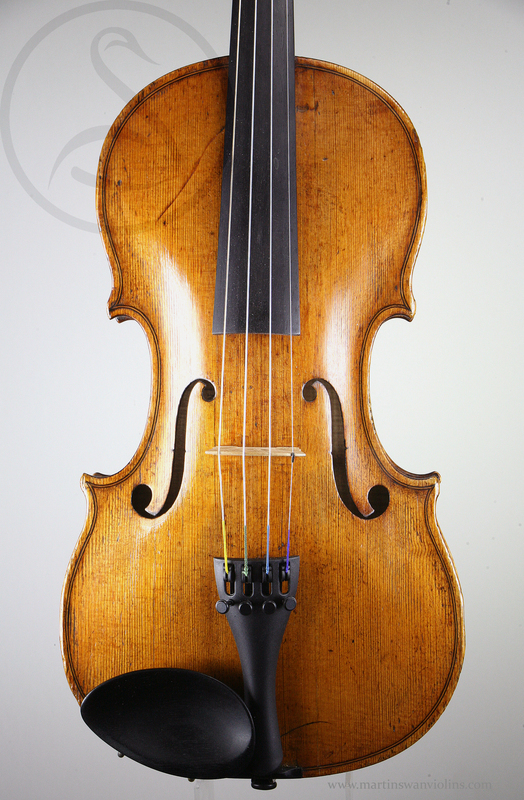 Interested in this Nicolaus Georg Skomal Violin?